LISTEN: Is Blackface Obsessed With 2Face? A former member of the defunct Plantashun Boiz group, Blackface, has just released a dis song on former band member, 2Face Idibia. The song is titled “WAR” and was released on Blackface’s YouTube page, and according to Blackface, a music video is also coming out soon. 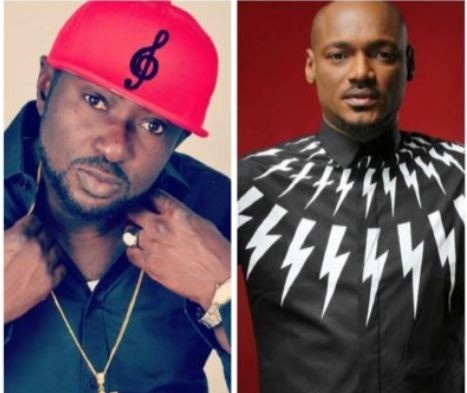 The dispute between Blackface and 2Baba has been going on for a while now, and it dates to allegations of song theft from Blackface against 2Baba. While the matter is still in court, Blackface’s Jury is out. Listen to “WAR” below and see reactions on Twitter below (Some of them will tickle you for days). It's like #Blackface went back to 1990 to produce his track?? #Blackface beef with @official2baba is now more permanent than aboki perfume.